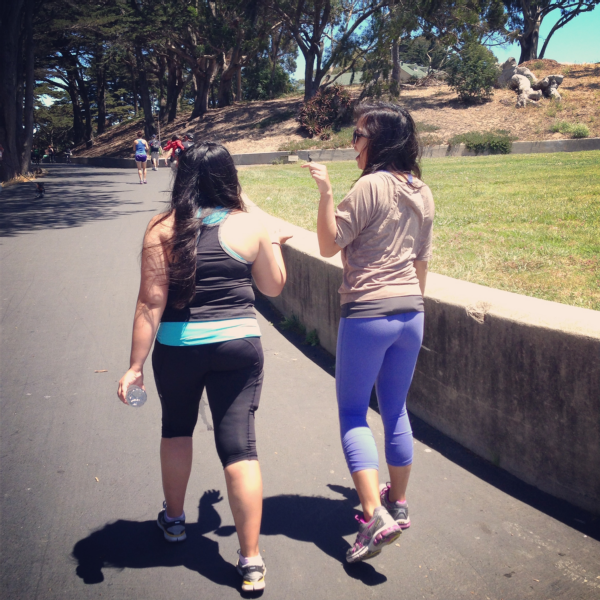 A few weeks ago, I started running with some friends who are training for the Nike Women’s Half Marathon. On our first run, no one knew what to do with their stuff, so everyone just held onto their car keys and phones. It was such a bummer trying not to drop/lose anything that even cheesy fanny packs started to look good. But then (! ), we found these hipS-sister bands with hidden and zippered pockets that slip around your waist. 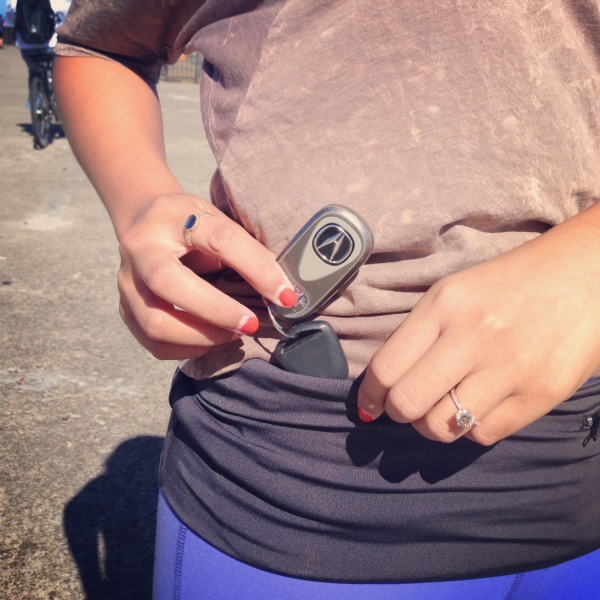 You can instantly add pockets to whatever you’re wearing—so convenient! I carry my inhaler, iPhone, kleenex and keys in mine. My friend Dianna is wearing a blue one in the picture above. Doesn’t it just look like part of her outfit? Babe, I have to tell you about an even more convenient way!! I was just in Vancouver and went for long dog walks with my cousin who had black running tights with a pocket halfway down her thigh? It was SO awesome and SO neat!